Christ has risen! He has risen indeed! 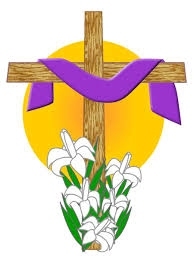 Please join us for Easter Services on Sunday March 27 at 8:00 AM and 10:30 AM. There will also be a Potluck Breakfast at 9:15 AM followed by a Flowering of the Cross. And don't forget the Good Friday Service at 7:30 PM on Friday March 25.